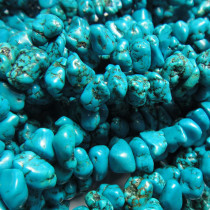 The majority the Turquoise on the market is stabilised. 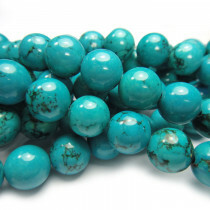 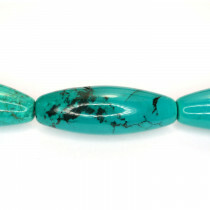 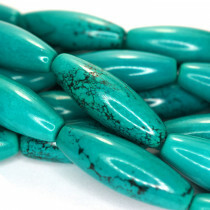 These beads are Natural Turquoise that have been put under pressure with a clear epoxy resin which hardens the rock. 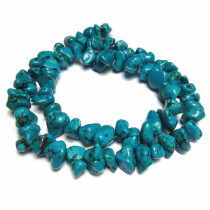 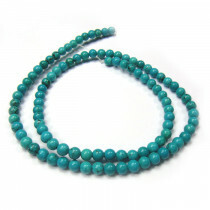 Stabilised Turquoise 10mm (approx) Chip Beads (~70pce Strand) - 40cm/16'" Strand. 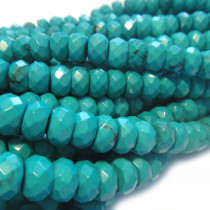 Stabilised Turquoise 35x12mm Large Rice Gemstone Beads (~12pce Strand) - 40cm/16'" Strand. 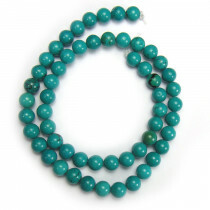 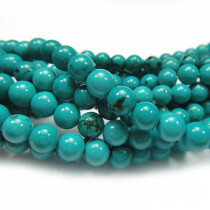 Stabilised Turquoise Round 12mm Gemstone Beads (~33pce Strand) - 40cm/16'" Strand. 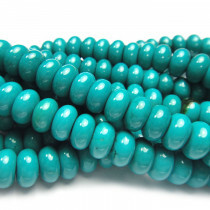 Stabilised Turquoise Round 10mm Gemstone Beads (~40pce Strand) - 40cm/16'" Strand. 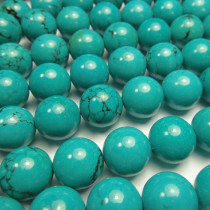 Stabilised Turquoise Round 8mm Gemstone Beads (50pce Strand) - 40cm/16'" Strand. 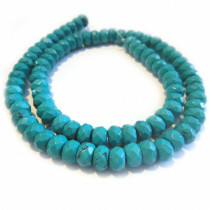 Stabilised Turquoise Round 6mm Gemstone Beads (66pce Strand) - 40cm/16'" Strand.